Audi Alteram Partem: When Does Criticizing Israel Become Antisemitic? When Does Criticizing Israel Become Antisemitic? Allen Z. Hertz was senior advisor in the Privy Council Office serving Canada's Prime Minister and the federal cabinet. He formerly worked in Canada's Department of Foreign Affairs and earlier taught history and law at universities in New York, Montreal, Toronto and Hong Kong. He studied history and languages at Montreal's McGill University (B.A. ), and then East European, Balkan and Ottoman history at New York's Columbia University (M.A., Ph.D.). He later earned international law degrees from Cambridge University (LL.B.) and the University of Toronto (LL.M.). An earlier version of this article was published on the Opinion Page of the Jerusalem Post, on February 17, 2009. There are also Chinese- and Hebrew-language versions posted to this website. The relationship among Jews, the Jewish People and Israel is more deeply explored in this website's October 2011 posting entitled "Aboriginal Rights of the Jewish People." Israel says that it is the Jewish State -- namely, the political expression of the self-determination of the Jewish People in a part of its aboriginal homeland. So, let us begin with the Jewish People. Under that same name, a then self-identified "Jewish" People has persisted for about 26 centuries in a variety of venues, including always in its birthplace. The Merriam-Webster Online Dictionary says antisemitism means “hostility toward or discrimination against Jews as a religious, ethnic, or racial group.” This definition reminds us that Jews are more than simply adherents of a particular religion. Namely, Jews also self-identify as an ethno-cultural group, a tribe, a People -- just as there is a Japanese or an Italian People. Today, most Jews around the world see themselves as part of the Jewish People, including within the context of the modern political and legal doctrine of the self-determination of Peoples. And in this optic, those who link together the three concepts of "Palestinians" and "the Palestinian People" and a putative "Palestine" would clearly have some logical difficulty simultaneously denying that the very same juridical ties connect Jews and the Jewish People to an actual country called Israel. Firewall between criticism of Israel and antisemitism? Like other countries, Israel has features that invite criticism. But, crafting a fair and non-discriminatory critique is troublesome because it requires something like sound social science, respect for natural justice, consideration of generally-applicable norms, reference to the usual practice of States, as well as giving reasons to support particular judgments. 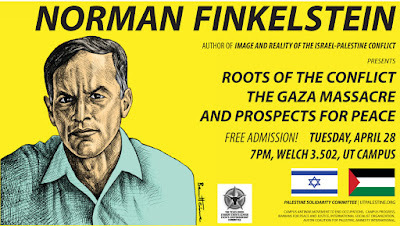 Thus, criticizing Israel is not necessarily antisemitic. But, it is untrue to say that there is a logical distinction that prevents a persistent pattern of bitter criticism of Israel from ever being antisemitic. To the contrary, the methodologies applied in more than a half-century of modern human-rights law make it clear that a persistent pattern of targeting Israel with unfair and discriminatory criticism is antisemitic. Why can criticism of Israel become antisemitic? Jews have been an historically-victimized People for close to 2,000 years, just as the Aboriginal Peoples of Canada and African-Americans have also been historically victimized over shorter periods of time. Now with over 40% of the world’s Jewish population, Israel is the historic and current homeland of the Jewish People, just as Greece is the ancestral and modern home of the Greek People. In terms of modern human-rights methodologies, the conclusion must be that a persistent pattern of discriminatory criticism of Israel is antisemitic, because likely to harm the more than six million Jews there, who are 75% of that country's population. 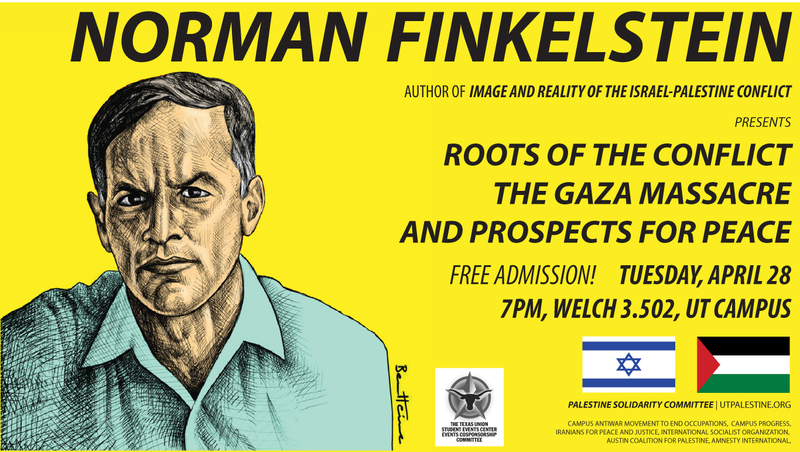 Critics of Israel linked to Jew-haters? An imaginary watertight compartment separating Israel from the Jewish People is as improbable as trying to uncouple the notion of China from the Han Chinese People or Turkey from the Turkish People. This is an important point because the hallmark of the modern antisemite is precisely reliance on the improbable and unpersuasive claim that there is a clear line that prevents a persistent pattern of bitter criticism of Israel from ever being antisemitic. To the contrary, statistical evidence suggests links between critics of Israel and antisemites. Firstly, public-opinion polls tend to show a clear correlation between respondents who strongly oppose Israel and those with marked negative feelings towards Jews and Judaism. Secondly, police records from Europe and elsewhere reveal spikes in local antisemitic incidents coincident with major military actions involving Israel, e.g., in Lebanon (2006) and Gaza (2008-2009, 2012). Moreover, anti-Israel terrorist groups regularly target local Jews in foreign countries, as in the deadly premeditated attacks in: 1994 on the Jewish community center in Buenos Aires; 2008 on Chabad House in Mumbai; and 2012 on the Ozar Hatorah School in Toulouse. Thus, those who justify or explain local antisemitism by pointing to alleged misdeeds by Israel are simultaneously acknowledging the obvious link between Israel and the Jewish People. Calls to kill 6 million Jews are antisemitic! Our understanding of the meaning of "antisemitism" can obviously include a single, strong expression such as “Nuke Israel!” For example, exactly such an horrific wish was expressed by famed Marxist historian Eric Hobsbawm (1917-2012). Along with some other left-wing Jews of his generation, he was a long-time Communist, who bitterly opposed Israel. 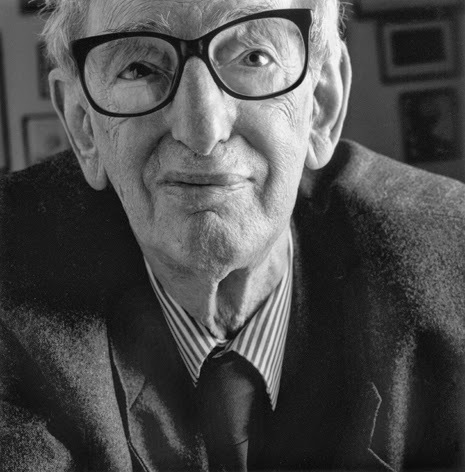 Hobsbawm's shocking statement was evidently antisemitic, because it called for using nuclear weapons to kill Israel's more than six million Jews, who now constitute the world's single largest Jewish community. a nuclear bomb should be dropped on Israel. A broader meaning of antisemitism? In addition to the hatred of Jews evident in that one, terrible statement by Hobsbawm, modern human-rights methodologies have no difficulty understanding as antisemitic, persistent patterns of discriminatory criticism of Israel. Thus, the modern meaning of "antisemitism" also includes persistently targeting Jews and/or Israel and persistently applying to Jews and/or Israel a more exigent standard than regularly applied to other Peoples and countries, in the same or similar circumstances. Friends of Israel may also be said to “target” Israel in the sense that they too focus on Israel. Friends are disposed to pay more attention to Israel than to other countries. But, they are unlikely to seek to tar Israel by persistently expecting more from Israel than from other countries, in the same or similar circumstances. To the contrary, friends are likely to defend Israel by applying normal standards or even by trying to apply less demanding standards. Antisemites also persistently target Israel, but then go further to consistently judge Israel according to strict criteria that they do not regularly apply to other countries, in the same or similar circumstances. Antisemites aim to portray Israel in a negative light. Their underlying motivation is sinister, in that they seek to defame Israel to fabricate justifications for extreme measures likely to do grave harm to the more than six million Jews there. Why is antisemitism so powerful? Because of explicit pejorative references to Jews and Judaism, the texts of both the Christian Gospels and the Muslim Koran have directly played a role in spawning civilizations with exceptional attitudes towards Jews and Judaism. In the Western and Islamic worlds, many individuals find it natural to harbor distinctive (often negative) views about Jews and Judaism. Thus, there is often a lack of awareness that the prevailing cultural software has been so significantly infected by the virus of antisemitism. For this reason, many individuals remain comfortable persistently targeting Jews and/or Israel and persistently applying to Jews and/or Israel a more exigent standard than regularly applied to other Peoples and countries, in the same or similar circumstances. then persecution and finally genocide. Shouting “Dirty Jew!” or attacking Jews in pogroms or sending Jews to die in concentration camps are obviously antisemitic. But many individuals in the Western and Islamic Worlds have a blind spot that prevents them from recognizing antisemitism in many other toxic manifestations, that fall short of the concentration-camp gates. Here it helps to recall the 1940's Holocaust that killed six million Jews in Europe. That horrendous crime traced its immediate origins to 1933, when Germany’s leader Adolf Hitler began a comprehensive program of well-organized discrimination that persistently singled out Jews, via wide-ranging legal and bureaucratic expedients. In the same way, modern antisemites contrive strategies to support persistent patterns of bitter discrimination, e.g., by targeting Israel in organs of the United Nations. The plan is to demonize Israel by persistently judging it according to a more exigent standard than regularly applied to other countries, in the same or similar circumstances. The ultimate goal is to justify destroying Israel and killing the more than six million Jews there. Many Jews fail to understand that the modern meaning of antisemitism includes any persistent pattern of discrimination against Jews and/or Israel. There are also Jews who falsely imagine that the ad hominem argument of being Jewish or having Jewish parents (even concentration-camp survivors) is a logical defense to a charge of antisemitism. However, the fact of being Jewish does not confer on a Jew a special license to engage in persistent patterns of discrimination against Jews and/or Israel. This is reasonable because the harm done by the persistent discrimination offered by some Jews is as real as that done by the antisemitism of non-Jews. In fact, persistent patterns of anti-Israel discrimination by Jews can do even more damage, because Jews can gain greater credibility by trumpeting their own Jewish credentials. attacking the Jewish People and Israel. An ideological license to discriminate? With respect to the principle of non-discrimination, human-rights methodologies offer no ideological exemption. Whether secular or religious, neither “the left” nor “the right” has a legal dispensation legitimating persistent patterns of discrimination against Jews and/or Israel. 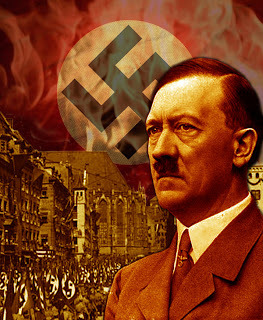 From a human-rights perspective, antisemitism cannot be excused with reference to an alleged greater good to be derived from: Nazism; Fascism; Liberalism; Socialism; Communism; Marxism; Environmentalism; Anti-Colonialism; the Non-Aligned Movement; Judaism; Christianity; Islam; or any other cause, ideology or religion. Nonetheless, many enemies of Israel remain astonishingly confident in their mistaken belief that their preferred (secular or religious) doctrine entitles them to indulge in such a persistent pattern of discrimination, while simultaneously immunizing them from a human-rights charge of antisemitism. This is a pitiful and hollow illusion. Intellectual honesty and decency demand that we decry discrimination, including the antisemitism of those who persistently target Jews and/or Israel and persistently apply to Jews and/or Israel a more exigent standard than regularly applied to other Peoples and countries, in the same or similar circumstances.